Scientist, writer, cancer survivor and long-time eco-activist Dr. Sandra Steingraber is the subject of Chanda Chevannes’ uplifting film Unfractured. 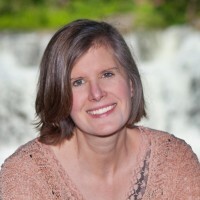 A resident of upstate New York, where she has taught at Cornell University and Ithaca College, Steingraber’s focus has been on getting governments to outlaw fracking. Chevannes follows her as she makes speeches, plans strategy with other activists and gets arrested protesting “the industrialization of the Finger Lakes.” At the same time, the film shows her dealing with husband and artist Jeff de Castro, who is suffering from a series of disabling strokes, and their two children. A humanist and brilliant multi-tasker, she remains fiercely committed to her cause. At its heart, the film is about Steingraber’s role in this landmark battle as she navigates her way through hope, despair, shock, and—ultimately—joy. 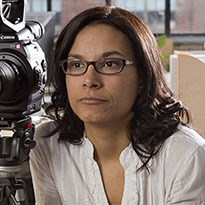 Chanda Chevannes is a Canadian documentary filmmaker, writer, and educator. She aims to make documentaries that deal with complex social issues in an artistic way. Chanda’s most recent film was Living Downstream, an award-winning documentary that was broadcast on six continents and seen by four million people. She has authored several educational resources, two blogs for the National Film Board of Canada’s CitizenSHIFT website, and a monthly column for Troy Media. Chanda trained as an arts educator with the Royal Conservatory and was recently an Innovator in Communities with the Toronto Public Library, leading filmmaking workshops in the city’s underserved communities. She is currently an instructor at Centennial College’s Story Arts Centre. 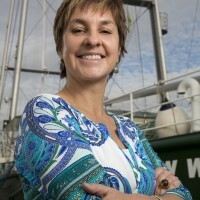 Joanna Kerr is the Executive Director of Greenpeace Canada, part of a global network working to stop climate change, protect precious biodiversity and advance Indigenous rights. A lifelong feminist and activist, Joanna previously served as the first female Chief Executive of ActionAid International, a global federation based in South Africa working in 45 countries for a world free from poverty and injustice. There, she led an organization- wide strategy that put climate resilient sustainable agriculture and women’s rights at the core of its work. Before that, she led the Association for Women’s Rights in Development, transforming it into one of the most significant global conveners and feminist campaigners, for which she was awarded a leadership prize from the Sigrid Rausing Trust. Joanna has held senior positions with Oxfam Canada and the North- South Institute, where she wrote and edited numerous publications on women’s rights, development and globalization. She currently serves on the Board of CIVICUS and is the Chair for the MATCH International Women’s Fund.